Today we’re joined by Eva Bartlett of InGaza.wordpress.com to discuss her reporting from Syria. We talk about the lies, propaganda and outright fabrications that have attempted to paint the terrorist insurgency as a “civil war” led by “moderate rebels,” including the use of children like Omran Daqneesh and Bana Alabed as unwitting icons for the fake narrative. We also discuss recommended sources for real information about what’s happening in Syria. This film, produced by the Palestinian Return Centre (London) and the Balfour Apology Campaign, puts on view the tragic fallouts of the Balfour Declaration (1917), in which the British Foreign Secretary Arthur Balfour signalled the go-ahead for the establishment of a Jewish State in Palestine. Available in 17 different languages: English, Arabic, Spanish, French, German, Danish, Dutch, Swedish, Polish, Italian, Turkish, Hindi, Urdu, Farsi, Chinese, Russian, Indonesian and Malay. Saudi Arabia’s March Towards Civil War? King Salman has used the war in Yemen to counteract elite dissatisfaction by causing what the Washington Postdescribes as a surge in nationalist sentiment among citizens. The move also served as an attempt to take proactive steps against Iranian support for Yemeni Houthi rebels and prevent destabilization from the Arab Spring. But while intervention may have provided Saudi Arabia with short term benefits, it has also contributed to further fracturing of the Middle East and allowed neighbor states to take steps to replace Saudi Arabia as the region’s dominant power. A civil war or internal conflict in Saudi Arabia would quickly become international in nature. Defense contractorsare being increasingly courted by Saudi cash as part of an effort to overhaul the military, part of which includes the recent $100 billion arms deal with the United States. Saudi Arabia has also increasingly used private military corporations such as Blackwater, which currently provides personnel to the Saudi-lead coalition in Yemen. The specter of nuclear proliferation in the Middle East also raises concerns that weapons could fall into the wrong hands or be used indiscriminately. Julian Assange has repeated 2010 claims from the head of Al-Jazeera that Qatar is in possession of a nuclear weapon. Saudi Arabia itself also is suspected of possessing nuclear arms. In 2013, BBC News reported that Saudi Arabia had nuclear weapons “on order” from Pakistan, whose nuclear program was bankrolled by the Saudis. In 2012, the Saudis also entered into an Atomic Collaboration Deal with China which projects that Riyadh will construct 16 nuclear reactors in the country by no later than 2030. Arab acquisitions of weapons of mass destruction have created concern among Israeli intelligence officials, who fear that the countries acquiring these weapons systems will not use them effectively. Posted in Saudi ArabiaComments Off on Saudi Arabia’s March Towards Civil War? 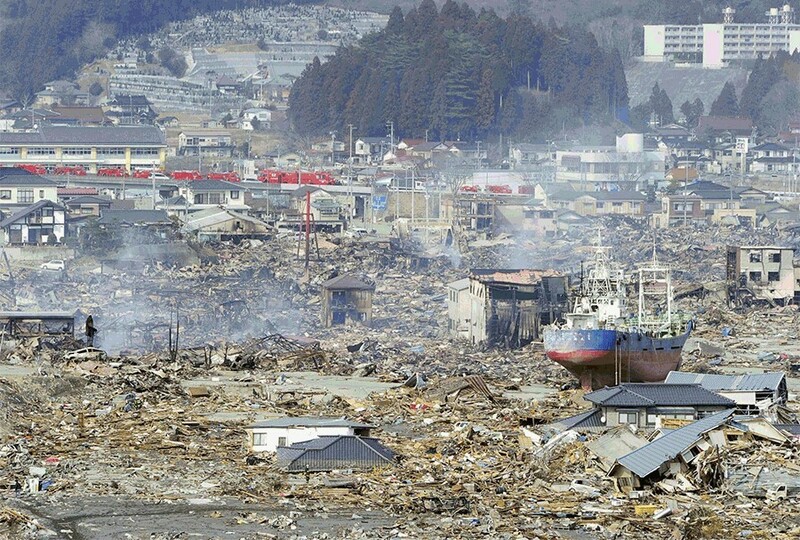 The Fukushima nuclear disaster of March 2011 has raised serious questions about nuclear power. In our work since Fukushima, we have tried to answer two questions: What is the current status of nuclear energy in Asia? Does nuclear power have a future in East Asia? By answering those questions, we hope to contribute to the global debate about nuclear energy. To be sure, questions of such magnitude can rarely be answered with a simple ‘yes’ or ‘no’. Decisions on energy are made at the national level, on the basis of both objective factors such as cost-effectiveness and notions of the national interest, and less objective ones, such as influence peddled by power plant operators, corruption, and bureaucratic self-interest. Nevertheless, by closely examining the status and probable future of nuclear power plants in specific countries, the authors of this volume come up with answers, albeit mostly of a negative nature. At the start of 2017, 450 nuclear power reactors were operating in 30 countries, with 60 more under construction in 15 countries. Thirty-four reactors are under construction in Asia, including 21 in China. The “Fukushima effect” has clearly had an impact in Asia, however. In China, no new construction took place between 2011 and 2014, although since then there has been a slow increase of licenses. Nevertheless, the full story of China’s embrace of nuclear power, as told in this volume by M. V. Ramana and Amy King, is that the onset of a ‘new normal’ in economic growth objectives and structural changes in the economy have led to a declining demand for electricity and the likelihood of far less interest in nuclear power than had once been predicted. On the other hand, in South Korea, which relies on nuclear power for about 31 per cent of its electricity, Lauren Richardson’s chapter which is presented here, shows that the Fukushima disaster and strong civil society opposition have not deflected official support of nuclear power, not only for electricity but also for export. Meanwhile, the 10 countries that comprise the Association of Southeast Asian Nations (ASEAN) are divided about pursuing the nuclear-energy option, with Vietnam deciding to opt out in 2016, and Cambodia, Indonesia, Malaysia, and the Philippines at various stages of evaluation. Even so, the chapter by Mely Caballero-Anthony and Julius Cesar I. Trajano shows that only about 1 per cent of ASEAN’s electricity will derive from nuclear power in 2035, whereas renewables will account for 22 per cent. How viable nuclear power is finally judged to be will depend primarily on the decisions of governments, but increasingly also on civil society. ASEAN has established a normative framework that emphasises safety, waste disposal, and non-proliferation; and civil society everywhere is increasingly alert to the dangers and costs, above-board and hidden, of nuclear power plants. As Doug Koplow’s chapter shows, for example, the nuclear industry, like fossil fuels, benefits from many kinds of government subsidies that distort the energy market against renewable energy sources. Costs are politically as well as environmentally consequential: even if construction begins on a nuclear power plant, it will be cancelled and construction abandoned in 12 per cent of all cases. It is important to note that of the 754 reactors constructed since 1951, 90 have been abandoned and 143 plants permanently shut down. When construction does proceed, it takes between five to 10 years on average for completion (338 of 609), with some 15 per cent taking more than 10 years. And, in the end, old and abandoned reactors will have to be decommissioned, as Kalman A. Robertson discusses, with costs that may double over the next 15–20 years. As Robertson points out, the problem of safe disposal of radioactive waste and the health risk posed by radiation released during decommissioning should be factored into the total price that cleanup crews and taxpayers will eventually pay. On top of all that, there isn’t much experience worldwide in decommissioning. Then there is the issue of trust in those who make decisions. Tatsujiro Suzuki’s chapter shows that in Japan, the chief legacy of Fukushima is public loss of trust in Japanese decision-makers and in the nuclear industry itself. Several years after the accident, costs continue to mount, a fact that pro-nuclear advocates elsewhere in Asia might want to consider. They also need to consider the issue of transparency for, as Suzuki shows, the nuclear industry has consistently dodged the fairly obvious lessons of Fukushima with regard to costs, nuclear energy’s future, and communication with the public. Similarly, in Taiwan, as Gloria Kuang-Jung Hsu’s study shows, transparency about safety issues has been notoriously lacking, and a history of efforts to obfuscate nuclear weapon ambitions means that constant vigilance over nuclear regulators is necessary. Of course, if public opinion does not count in a country—say, in China and Vietnam—the issue of trust is muted. But we know that, even there, people are uneasy about having a nuclear power plant in their backyard. Issues of hidden cost and public trust are also embedded in the biological and health threat posed by nuclear energy. Tilman A. Ruff, a long-time student of radiation effects on human health, demonstrates how these effects have been underestimated. He offers a detailed explanation of what exposure to different doses of radiation, such as from the Fukushima accident, means for cancer rates and effects on DNA. Timothy A. Mousseau and Anders P. Møller, who have undertaken field research for many years on the genetic effects of the Chernobyl accident, look at how nuclear plant accidents affect the health of humans and other species. Combined, these two chapters offer a potent, often overlooked, argument against the nuclear option. This introduction by Mel Gurtov and the following article by Lauren Richardson are adapted from Peter Van Ness and Mel Gurtov, eds., Learning From Fukushima. Nuclear Power in East Asia. Australian University Press. Japan’s March 2011 (3/11) crisis spurred a revival in anti-nuclear activism around the globe. This was certainly the case in South Korea, Japan’s nearest neighbour, which was subject to some of the nuclear fallout from Fukushima. This chapter examines the puzzle of why the South Korean anti-nuclear movement was apparently powerless in the face of its government’s decision to ratchet up nuclear energy production post-3/11. It argues that its limitations stem from the highly insulated nature of energy policymaking in South Korea; the enmeshing of nuclear power in the government’s ‘Green Growth Strategy’; and certain tactical insufficiencies within the movement itself. Notwithstanding these limitations, the movement has successfully capitalised upon more recent domestic shocks to the nuclear power industry, resulting in a slight, yet significant, curtailing of the South Korean government’s nuclear energy capacity targets. The March 2011 (3/11) earthquake in northeastern Japan and ensuing nuclear meltdown at the Fukushima Daiichi plant had profound reverberations for the global nuclear industry. In the wake of the disaster, countries as far-reaching as Germany and Switzerland brought their nuclear energy programs to a complete halt. Closer to the source of the calamity, the Taipei government initiated a gradual phase-out of its nuclear reactors and suspended plans for the construction of a fourth nuclear plant. These policy shifts were precipitated by nationwide anti-nuclear demonstrations that erupted in response to the Fukushima crisis. Somewhat surprising, however, was that Japan’s nearest neighbour, South Korea, reacted to the complete contrary. Despite the fact that Korean territory was subject to some of the nuclear fallout from Fukushima (see Hong et al. 2012), the South Korean government proceeded to ratchet up its nuclear energy program post-3/11 and pushed ahead with plans to become a major exporter of nuclear technology. Indeed, within only months of Japan’s disaster, South Korean President Lee Myung-bak reiterated his administration’s goal of doubling the number of domestic reactors, and reaffirmed nuclear technology as a primary export focus. This response was puzzling for a number of reasons. First, similarly to the cases of Germany, Switzerland, and Taiwan, the South Korean anti-nuclear movement expanded to unprecedented proportions in the aftermath of Fukushima, yet ostensibly to no avail. This expansion was driven by a marked decline in public trust in the safety of nuclear reactors, and witnessed activists mounting a formidable challenge to nuclear energy policy. Moreover, since overthrowing the nation’s long-standing authoritarian regime in the late 1980s, South Korean civil society has evolved to wield powerful influence across a variety of policy domains; activists, though, were apparently powerless in the face of their government’s decision to increase nuclear-generating capacity. This is somewhat perplexing given that, in the very same year of the Fukushima calamity, South Korean civic groups contributed to undercutting a proposed security accord between Seoul and Tokyo, and ‘comfort women’ victims compelled their foreign ministry to pursue compensation from Japan more vigorously on their behalf―to name but two realms of policy influence. Why then was South Korea’s anti-nuclear movement unable to subvert the South Korean government’s nuclear energy policy? Does the movement’s lack of evident success suggest that it exerted no tangible influence on nuclear energy development in South Korea? What factors have served to impede its effectiveness? This chapter addresses these questions through an analysis of the movement’s campaign to alter policy and practice in the South Korean nuclear energy industry, from the late-1980s to 2016. As the challenges encountered by the movement stem in part from the structural development of nuclear energy in South Korea, the chapter begins by outlining the evolution of this process. It proceeds to assess the efficacy of the anti-nuclear movement in pre- and post-Fukushima contexts, with reference to its aims and pressure tactics. It then assesses the reasons behind the government’s lack of responsiveness to the movement, before finally examining two emergent encumbrances to nuclear energy policy. The chapter advances three broad arguments. First, the anti-nuclear movement has had considerable success in preventing the construction of nuclear waste disposal sites; this endeavour has been more fruitful than strategies that sought to undermine the establishment of new nuclear power plants. Second, the movement’s inability to abort nuclear energy production stems from the highly insulated nature of energy policymaking in South Korea, the enmeshing of nuclear power in the government’s ‘Green Growth Strategy’, and certain tactical insufficiencies in the anti-nuclear movement. Third, notwithstanding these limitations, the movement has capitalised upon recent domestic shocks to the nuclear power industry, resulting in a curtailing of the government’s nuclear energy capacity targets. Since its post-Korean War (1950‒53) inception, energy policy in South Korea has been driven by the need to spur economic growth, minimise dependence on imports, and ensure long-term energy security. In the late 1950s, the South Korean government opted to develop a nuclear power program as a means to fuel the restoration of its war-shattered economy. Officials presumed that nuclear reactors would provide a stable source of energy, facilitate export-oriented growth, and reduce the nation’s reliance on costly oil, coal, and gas imports. Toward this end, Seoul joined the International Atomic Energy Agency (IAEA) in 1957, and thereafter enacted Framework Act No. 483 on Atomic Energy (1958) and established an Office of Atomic Energy (1959). Under the iron grip of a succession of authoritarian leaders from the 1960s to the late 1980s, nuclear energy legislation proceeded mostly unhindered by public resistance. Indeed, the Park Chung-hee dictatorship (1961‒79) was quick to charge would-be demonstrators with violating anti-communism and national security laws, and resorted to barrages of tear gas and martial law to restrain them. It was against this backdrop that the nation’s first reactor, a small research unit, was brought to criticality in 1962. Some 10 years later, the Park government commissioned the construction of the Kori nuclear power plant in the port city of Busan, and this began generating in 1978 (Hwang and Kim 2013: 196). In addition to the authoritarian milieu, South Korea’s alliance with the United States constituted a further driving force in its development of nuclear energy. Once Seoul embarked on its nuclear power program, a confluence of interests emerged between the American nuclear industry, business conglomerates (chaebol) and officials in South Korea. Nuclear power companies in the US had a specific agenda to promote the advancement of nuclear technology in non-communist countries, and thus viewed South Korea as an attractive business prospect. In fact, the American firm Combustion Engineering (later incorporated into Westinghouse Electric) supplied South Korea with its first nuclear reactor in 1978―the Kori-1 unit―and thereupon imparted technological know-how to the fledgling industry. The US government, meanwhile, sought a degree of control over its ally’s nuclear energy policy; this was predicated on dissuading South Korea from developing an indigenous nuclear weapons capability. Prompted by mounting military pressure from Pyongyang and the withdrawal of thousands of US troops from South Korea in 1971, Park started harbouring aspirations of nuclear weapons development and proliferation (Hayes and Moon 2011). Through the enactment of the Agreement for Cooperation between the Government of the United States of America and the Government of the Republic of Korea Concerning Civil Uses of Atomic Energy in 1972, Washington attempted to curb these ambitions by pledging to provide nuclear materials and technology to Seoul on the condition that they be used exclusively for energy production purposes. The terms of the agreement further undermined Seoul’s nuclear weapons potential by prohibiting uranium enrichment and limiting its fuel cycle options and raw material supply. When the Korea Atomic Energy Research Institute attempted to circumvent these terms by purchasing reprocessing plants from Belgium in the mid-1970s, the US and Canadian governments thwarted the deal by exerting financial leverage vis-à-vis Seoul, and Washington further threatened to cut off support for its ally’s nuclear power program (Hayes and Moon 2011: 51‒3). Under the weight of this pressure, Park eventually abandoned his weapons development and proliferation plans at the end of the decade. Throughout the early to mid-1980s, the expansion of South Korea’s nuclear energy capacity proceeded mostly unencumbered by civic dissent. This was largely owing to the preoccupation of the populace with achieving democratisation (Leem 2006). In this context, the state-owned Korea Electric Power Company (KEPCO) oversaw the construction of an additional eight reactors, through the assistance of American nuclear firms. By the end of the decade, South Korea’s nuclear energy industry had evolved to supply 45 per cent of the nation’s energy needs and had virtually attained technical self-reliance. Nuclear power thus became closely correlated with South Korea’s rapid industrialisation and economic rise. As the transition to democracy began in the late-1980s, however, the nuclear energy industry began to encounter significant social resistance. After a decade of sustained civil uprisings against the authoritarian leadership, South Korean citizens started to question Park’s development model, in particular its driving force of nuclear energy. This questioning, which was fueled by increasing political liberalisation, gradually gave rise to a nascent anti-nuclear movement. In its early stages, this movement remained fairly localised around nuclear reactor sites. Yet the Fukushima crisis served to galvanise and encourage its transnational expansion. Although the movement’s overarching objective of achieving a nuclear-free South Korea ultimately proved abortive, it did succeed in stymieing the construction of a number of nuclear waste disposal sites. This section examines the movement’s opposition tactics before and after 3/11. The South Korean anti-nuclear movement emerged as an amalgamation of various environmental and other civic-minded groups. Spurred in part by the numerous nuclear power plant-related accidents that had occurred by the end of the 1980s, including the Chernobyl disaster, citizens joined forces to prevent further environmental damage and curb the nation’s steadily increasing pollution. As a first step they jointly established the National Headquarters for Nuclear Power Eradication, and thereupon launched a bottom-up campaign against nuclear energy. One of the first major rallying points of the movement was the matter of radioactive waste disposal. Given that close to 50 per cent of the nation’s electricity was being derived from nuclear power by the 1980s, spent fuel repositories were reaching capacity and the storage of radioactive waste had begun to pose a formidable challenge. Activists perceived this state of affairs as a potential environmental disaster. When the government first announced its candidate sites for nuclear waste disposal in 1986―and every instance thereafter―impassioned civic resistance thus followed. Brandishing messages about the dangers of nuclear materials, citizens staged large-scale protests at government complexes and proposed waste sites. These early grassroots efforts met with overwhelming success: over a period of eight years, the anti-nuclear movement thwarted the construction of 12 nuclear waste disposal sites (Sayvetz 2012). In an attempt to circumvent further public obstruction, the South Korean government began targeting remote locales to play host to waste depositories. In the mid-1990s, officials designated Gulup Island, a small landmass off South Korea’s western coast, as a potential site. This plan was instigated without public consultation and when news of it was leaked to the public, anti-nuclear activists rallied in anger. The Korean Federation for Environmental Movements (KFEM) elected to head a campaign to prevent the site’s construction. Boasting a membership of more than 13,000, the KFEM worked in tandem with various civic groups to advocate for the Gulup Island residents, who were strongly averse to the prospect of a nuclear waste dump in their residential vicinity (Sayvetz 2012). In a show of broad-based consensus against the proposed site, the KFEM convened mass rallies and filed an oppositional petition that attracted thousands of signatures. When the government belatedly agreed to convene a public hearing regarding the site, representatives from a number of civic groups voiced their concerns about the presence of a geological fault on the island. Their apprehensions, however, ostensibly fell on deaf ears. Public pressure thus continued to mount, and in the Spring of 1995, over 300 residents in the nearby Deokjeok Island―who were also fearful of the site’s potential consequences―staged a protest in front of the Ministry of Science and Technology in Seoul. Faced with this unrelenting opposition, government officials were impelled to solicit experts from the IAEA to conduct a survey on the proposed site. Their findings revealed the presence of a fault, confirming residents’ suspicions that the site was particularly perilous for the storage of nuclear waste. In light of this development, the central government decided to abort the Gulup Island plan in November 1995. The movement continued to challenge the construction of radioactive waste sites throughout the 1990s and into the early twenty-first century. These attempts tended to remain localised in nature and dissipated once a proposal was successfully undermined. Following the meltdown of the three reactors in Fukushima, South Korea’s anti-nuclear movement underwent somewhat of a resurgence. This was characterised by the mobilisation of a broader spectrum of activists and an increase in the breadth of the movement’s anti-nuclear activities. As images of the triple meltdown at the Fukushima Daiichi plant filtered through South Korean media outlets, various religious groups, unions, co-ops, professional associations, non-governmental organisations, academics, and parents groups joined the appeal for a nuclear-free future. The 3/11 crisis moreover spurred the South Korean movement to transnationalise its anti-nuclear efforts through joining forces with like-minded activists in the region. This was instigated by a group of Catholic South Korean dioceses who pledged to form an East Asian civil society network with anti-nuclear activists in Japan and China; their objective was to present a united front of opposition to the nuclear power industry regardless of the tensions between their respective countries. As described in their initial prospectus, ‘the more we share information on the dangers on nuclear power and spread technology and wisdom regarding natural energy, the more East Asia will become the center of peace, not conflict; of life, not destruction’ (East Coast Solidarity for Anti-Nuke Group 2012). Under the nomenclature of the East Coast Solidarity for Anti-Nuke Group, the group debuted on the first anniversary of the Fukushima disaster with a declared membership of 311 citizens, signifying that the South Korean movement was no longer a domestic phenomenon localised around nuclear waste sites. In accordance with the expansion of its constituents, the movement increased the scope of its anti-nuclear efforts in the aftermath of Fukushima. Moving beyond the initial focus of countering the construction of new waste storage sites and plants, activists began to advocate more broadly for the cessation of nuclear energy production; accordingly, they targeted existing plants. The logic driving the movement’s post-Fukushima campaign was essentially fourfold: (1) uranium sources will eventually be exhausted, and therefore nuclear energy is not a viable permanent energy source; (2) most of the developed countries around the world are no longer constructing new nuclear reactors and, since Fukushima, are seriously rethinking their nuclear energy policies; (3) when factoring in the social costs, nuclear energy cannot be considered cost-effective; and (4) as the mining and processing of uranium produces carbon dioxide emissions, nuclear power cannot be conceived of as an environmentally friendly source. Meanwhile, the overarching logic informing the movement was that Japan’s ‘March 11 disaster has proven that nuclear power plants are not safe’ (Nagata 2012). First among the anti-nuclear movement’s post-3/11 objectives was to nullify the lifespan extensions of the nation’s two oldest nuclear reactors―Kori-1 and Wolsong-1. The former unit, which was already running beyond its technological lifespan, had experienced a number of technical problems in the Spring of 2011, and was consequently temporarily shut down. Yet shortly thereafter nuclear officials declared it suitable for operation and allowed it to resume power generation. Likewise, the latter unit, which began operating in 1983 at a plant in North Gyeongsang province, was taken offline for extended maintenance in June 2009. As its operating license was due to expire in 2012, Korea Hydro & Nuclear Power (KHNP) spent ₩560 billion (US$509 million) on refitting the unit with the hope of prolonging its lifespan. Ultimately, the reactor was cleared for restart in June 2011. These decisions by nuclear energy officials were made in close succession to the Fukushima disaster, and thus aroused fears among local residents of a similar catastrophe occurring in their own vicinity. Under the banner of a group called Collective Action for a Nuclear Free Society, residents demanded that the life extensions of the reactors be nullified. Toward this end, they staged protests in front of the Nuclear Safety and Security Commission (NSSC) in Seoul, where officials deliberated the fate of the reactors, and chanted anti-nuclear slogans. In spite of these objections, however, nuclear officials permitted Kori-1’s continued operation. And although they agreed to shut down Wolsong-1 at the conclusion of its lifespan in November 2012, they later backtracked, granting permission for it to restart in February 2015 and operate for a further 10 years. These two decisions constituted a major setback for the movement. In addition to focusing on aged reactors, the anti-nuclear movement continued on its mission to abort the construction of new nuclear power plants. Activists concentrated on the candidate sites of Samcheok and Yeongdeok, two cities on the east coast of South Korea in which the government proposed to build eight new reactors (four at each site). The local government of Samcheok had originally agreed to host a nuclear power plant in 2010. Yet following the Fukushima disaster, anti-nuclear sentiment swept throughout the city, culminating in the formation of the Pan-Citizen Alliance for Cancelling the Samcheok Nuclear Power Plant. To signal their changed stance on nuclear power to the central government, the city residents elected a new mayor, Kim Yang-ho, who had campaigned on an anti-nuclear platform. In order to elicit a collective anti-nuclear expression, Kim held a referendum in October 2014. As he anticipated, the majority of citizens indicated their opposition to the plant’s construction: among the 69.8 per cent of the voting population who participated in the referendum, 85 per cent voted against the proposed site. Due to the fact that the referendum was not legally sanctioned, however, the national government declared it non-binding and thus ignored the result. In the second candidate city of Yeongdeok, a similar outcome transpired. Being a rural and coastal county with a dwindling population and struggling economy, Yeongdeok residents had initially been enthused about the prospect of economic revitalisation that a nuclear power plant would offer. Not only would it bring much needed employment opportunities, but the South Korean government had pledged to provide ₩1.5 trillion (US$1.35 billion), over a 60-year period, to compensate for any potential associated dangers. Having lost their earlier (2005) bid to host a storage site for low-level radioactive waste, the citizens of Yeongdeok were particularly keen to secure the nuclear power plant venture. Their enthusiasm quickly dissipated, however, in the face of Japan’s 3/11 disaster. Indeed, residents had not foreseen the possibility of tsunami damage to the plant when originally submitting their host bid. In the aftermath of Fukushima, local citizens thus called for a county referendum to overturn the plan. In this instance, the mayor was unwilling to support the initiative and therefore residents organised it on their own accord. Perhaps owing to this lack of official backing, the referendum failed to attract the requisite one-third of voters for it to hold legal sway (Kim 2015). In any case, national officials dismissed both the Samcheok and Yeongdeok voter outcomes on the grounds that central government projects are not subject to local referenda results. Evidently, the pressure tactics of the South Korean anti-nuclear movement have produced mixed results. Early protests were successful in undermining nuclear waste site proposals and plans for the construction of a small number of nuclear power plants. Yet in the post-Fukushima period, the movement largely failed in its aims to abrogate the lifespan extensions of aged reactors and reverse site selection decisions for new nuclear power plants. Despite the magnitude of the Fukushima crisis and ensuing tide of pressure from the anti-nuclear movement, Seoul’s nuclear power policy showed no immediate signs of deceleration―at least on the surface. The disaster only prompted limited government measures aimed at counteracting potential contamination from Japan’s meltdown, and enhancing the safety of domestic nuclear installations. In the two months following 3/11, all 30,000 passengers that entered South Korea from Japan (by ship or aircraft) were screened for radioactivity; only two people, however, required decontamination (Korean Government 2011). Over the same two months, the central government ordered nuclear officials to carry out a special safety inspection of all nuclear power plants throughout the country, yet ultimately no abnormalities were detected. Finally, in June 2011, the South Korean National Assembly passed a bill to establish the Nuclear Safety and Security Commission, a regulatory body tasked with protecting public health and safety. Together these measures constituted the extent of the South Korean government’s responsiveness to 3/11 and the subsequent pressure from the anti-nuclear movement. South Korea continues to stand as the sixth largest consumer of nuclear energy in the world, second in Asia only to Japan. There remain 24 nuclear reactors operating nationwide, with another five under construction. Government officials continue to emphasise the safety and low-cost efficiency of nuclear power, while largely eschewing the development of renewable energy sources. Expanding the nuclear energy industry is still a national strategic priority, as exemplified in the Ministry of Science and Technology’s (2006) Third Comprehensive Plan for Nuclear Energy Development (2007‒11). The government predicted in this report that the nation would derive 59 per cent of its electricity from nuclear power sources by 2030. In addition to these domestic ambitions, nuclear energy technology has evolved to become a major export industry for South Korea. The Ministry of Knowledge Economy intends to export another 80 reactors, worth a total of US$400 billion, by 2030. The nation secured its first major international contract in 2009, when KEPCO signed a US$40 billion deal to construct four nuclear reactors for the United Arab Emirates (UAE). Undeterred by the Fukushima meltdown, President Lee embarked on an official visit to the UAE on 13 March 2011―a mere two days after Japan’s crisis began to unfold―to reaffirm his plans for future energy cooperation. Besides the UAE deal, Seoul has secured a US$173 million contract to build a nuclear research reactor in Jordan, and to construct several reactors in Saudi Arabia worth a total of US$2 billion. Other target export countries for South Korea’s nuclear industry include China, Finland, Hungary, Indonesia, Malaysia, Turkey, and Vietnam. What explains the failure of the anti-nuclear movement to subvert the development of nuclear energy in South Korea? Pressure tactics cannot singularly account for the limited policy change. Rather, a combination of three factors have served to militate against substantial nuclear power reform. These include (1) the highly insulated and top-down nature of nuclear energy policymaking in South Korea; this has restricted the number of legislative handles around which activists can mobilise to influence policy decisions; (2) the centrality of nuclear energy to the South Korean government’s Green Growth Strategy, a factor that has legitimated its continued expansion; and (3) shortcomings in the anti-nuclear movement’s pressure strategy, specifically, its laxness in articulating a feasible alternative energy strategy to nuclear power. The primary hurdle faced by the movement has been the elite-driven nature of policymaking on nuclear energy. In contrast to the many other policy domains in South Korea which allow for substantial input from citizens, decisions on nuclear energy continue to be formulated exclusively by government officials and technocrats, in a highly insulated environment. The key actors engaged in this process include the Ministry of Commerce, Industry and Energy; the Ministry of Trade, Industry and Energy; the Ministry of Science, ICT and Future Planning; the NSSC; and various chaebol and bureaucratic authorities. Each of these institutions is in turn informed by pro-nuclear politicians and technocrats, producing an iron triangle of decision-making that excludes civil society. This triangular structure was particularly reinforced with the installation of Lee―a former chaebol leader (Hyundai executive)―as South Korean president in 2008. As a corollary of this elite-driven process, nuclear energy policy is implemented through a top-down dynamic. This has been characterised by a ‘decide-announce-defend’ sequence (Norman and Nagtzaam 2016: 250), whereby the central government enacts a policy, proceeds to impose it on local government and citizens, and then seeks to placate any objections by offering financial rewards and other incentives. This sequence was vividly evinced in the Gulup Island fiasco. As this strategy, though, has proved abortive on a number of occasions, the government has attempted since 2004 to move toward a slightly more consultative mechanism that incorporates citizens’ preferences. Activists continue, however, to face significant barriers in shaping the nuclear energy agenda. The elite-driven and top-down dynamic of the policy process has in fact steered their pressure tactics away from government lobbying, toward the more viable strategy of obstructing policy implementation. A further inhibiting factor for the movement has been the enmeshing of nuclear power in the South Korean government’s Green Growth Strategy. Essentially, this has added another layer of insularity to nuclear energy policy in South Korea. As a consequence of South Korea’s rapid industrialisation over the last few decades, its greenhouse gas emissions virtually doubled between 1990 and 2005―an increment exceeding most of the OECD (Organisation for Economic Co-operation and Development) countries. At the same time, Seoul’s annual mean temperature increased by 1.5degrees Celsius, surpassing the global average of 0.7 degrees Celsius (von Hippel, Yun, and Cho 2011). These developments, coupled with an emergent international consensus on the need to address climate change, forced the South Korean government to consider ways to curtail its carbon dioxide emissions. Being at once low-carbon and cost-effective, nuclear energy was seized upon by South Korean officials as a convenient solution to the nation’s environmental and climate woes, and also as a means to deal with rising energy demands. In 2009, the Lee administration announced a national Green Growth Strategy premised on three major objectives: reducing fossil fuel use, tracking greenhouse gas emissions, and establishing several new nuclear power plants. Renewable energy was relegated only a marginal status under the plan. This linking of nuclear power to the national environmental and climate strategy was institutionalised through the government’s Five Year Plan for Green Growth (2009‒13), and the Framework Act on Low Carbon, Green Growth(2010). As a result of this process, the political opportunity structure surrounding nuclear energy became less favourable to activists. The discursive framing of nuclear power as both a means to reduce carbon emissions and promote energy independence, enabled the South Korean government to legitimise its plans to expand nuclear power domestically and export nuclear technology abroad. Indeed, Lee boasted to his constituencies that the planned export of four reactors to the UAE would equate to ‘40 million tons of carbon mitigation’ (Lee 2010: 11‒12). To challenge this stance of the government, the anti-nuclear movement has attempted to counter-frame nuclear power as an environmentally unfriendly energy source. As previously mentioned, activists have argued that the mining and processing of uranium produces carbon dioxide emissions. The movement has furthermore underscored the clause of the South Korea‒US atomic energy agreement that prohibits the reprocessing of spent fuel, and thus renders the necessity of environmentally hazardous radioactive waste sites. As many of South Korea’s nuclear power plants are located in coastal areas that are subject to occasional earthquakes, activists have also raised the possibility of the occurrence of a Fukushima-style disaster. This counter-frame, however, has yet to tip the cost-benefit analysis of nuclear energy by the wider populace. Indeed, there remains an overriding belief within South Korean society that nuclear power holds the key to combating climate change, as argued by the government. The limited policy change in nuclear energy development can further be attributed to insufficiencies in the tactics of the anti-nuclear movement. Throughout their campaign against nuclear power, activists have neglected to formulate a feasible alternative energy source. Instead of demanding new policies (Hermanns 2015: 276), they have tended towards the reactionary tactics of undercutting policy implementation and emphasising the hazards inherent in nuclear energy. In view of the fact that South Korea is lacking in natural resources and its economy is structured around manufacturing, this approach of the movement has been problematic for the offsetting of nuclear power. In the absence of a strategy delineating how the nation’s energy needs might otherwise be met―accounting both for energy security issues and projected industrialisation―it is improbable that the South Korean government would eschew nuclear power as a major energy source. Formulating such a strategy is all the more necessary in light of the nation’s dense population, relatively small landmass, and mountainous terrain, all of which render certain forms of renewable energy―such as wind farms―less conceivable than in other countries. And while the anti-nuclear movement has significantly increased in scope since Fukushima, its pressure tactics have not resulted in a marked change in public opinion vis-à-vis nuclear power. According to annual polls conducted by the Korea Nuclear Energy Agency, South Korean citizens have upheld consistent views about the importance of nuclear-generated energy throughout recent years, with national support for nuclear power plants hovering between 80 per cent and 90 per cent―even after Fukushima. This has served to further bolster the government’s mandate to expand its nuclear energy program. The 3/11 disaster did, however, result in lowered perceptions regarding the safety of nuclear reactors and radioactive waste management in South Korea, with 39 per cent and 24 per cent of survey respondents expressing their confidence in these respective realms. Additionally, polls conducted one year prior to and one year after Fukushima indicated a decline of 8 per cent (from 28 per cent to 20 per cent) in local acceptance of nuclear power (Dalton and Cha 2016). These statistics reflect the fact that opposition to nuclear power is highly localised to rural areas―where nuclear power plants and waste sites are concentrated―while support for nuclear power rests with the larger cities, such as Seoul, where the power-brokers reside and nuclear power plants are a rare sight. In effect, the downturn in local approval of and confidence in the safety of nuclear reactors has complicated the policy implementation process in South Korea. At the same time, though, the sustained broad-based support for nuclear power generation has functioned to attenuate the pressure tactics of the anti-nuclear movement. Notwithstanding the limitations of the anti-nuclear movement in shaping energy policy in South Korea, recent years have seen the emergence of two new challenges to the government’s nuclear power strategy. Manifesting both endogenously and exogenously, effectively these have sent shockwaves throughout the industry, forcing Seoul to curb its generating capacity ambitions. For its part, the anti-nuclear movement has seized upon these shocks as opportunities to whip up further opposition to nuclear energy among South Korea’s populace. The first of these challenges manifested as a series of corruption scandals implicating nuclear officials, and a consequent erosion of public trust in nuclear energy regulation. As part of Seoul’s bid to expand its nuclear-generating capacity, 11 new reactors had been planned for construction in the period 2012‒21. This proposal was derailed, however, when it was found—during a routine inspection—that the plant manager had covered-up a reactor power failure (KHNP 2012). When the reactor in question had lost power, the emergency diesel generator failed to start, signalling a host of potential dangers. The plant manager refrained from reporting the mishap due to a fear of inciting a public backlash and ‘worsening the plant’s credibility’ (IAEA‒NSNI 2012: 3). Given Kori’s location in South Korea’s second most populous city of Busan, this act of cover-up provided ample opportunity for the anti-nuclear movement to stoke public concerns about regulatory practices. Thus, amidst the controversy, the KFEM and the No Nukes Busan Citizen Countermeasure Commission simulated a radioactive leak (on the scale of the Chernobyl disaster) at the plant, to determine the probable effects. The results were published in a report, and predicted that such an accident would produce roughly 900,000 casualties in Busan, and ₩628 trillion (US$533 billion) worth of property damage (Yi 2012). This scenario, which was reminiscent of the safety regulatory failure at the Fukushima Daiichi plant, struck widespread fear in the minds of residents. While a panel of experts from the IAEA proceeded to declare the two reactors as safe, their assurances failed to allay the concerns of local citizens who were quickly losing trust in nuclear officials (IAEA 2012). On the heels of this incident a second corruption scandal occurred, further highlighting the lack of transparency in the regulation of nuclear power plants in South Korea. This unravelled in November 2012, when regulators discovered that at least 5,000 small reactor components at the Yeonggwang nuclear power plant lacked proper certification, and that at least 60 of the quality assurance certificates for these components were fake. After launching an official investigation, the KHNP announced that between 2003 and 2012, the plant had been supplied with a total of 7,682 items with forged quality certificates (LaForge 2013‒14). In light of these revelations, the KHNP was compelled to shut down two of the plant’s six reactors until the dubious reactor components were replaced. As citizen protests erupted over the controversy, nuclear authorities were prompted to inspect the components of all 23 reactors nationwide. This led to the discovery of copious forged safety certificates for reactor parts at the Kori and Wolseong plants. Consequently, the Kori-2 and Shin Wolseong-1 units were shut down in June 2013, and Kori-1 and Shin Wolseong-2 were ordered to remain offline while the unauthorised parts were refitted. In the ascription of culpability for these scandals, 100 people were indicted on bribery charges, including a former chief executive of the KHNP and a vice-president of KEPCO (LaForge 2013‒14). Once again these events triggered an upsurge in anti-nuclear ferment in South Korea. Citizens attributed the corrupt practices in safety certification to the culture of secrecy shrouding the nuclear energy industry. These sentiments were evinced in protests that erupted in response to the shut down of the Yeonggwang reactors, which attracted as many as 2,500 citizens. Calling for an overall safety review of South Korea’s nuclear power plants, participants burned effigies of the KHNP and brandished placards claiming, ‘We feel uneasy!’ To placate the public outcry, Cho Seok, the chief executive officer of the KHNP, issued a public apology in September 2013 conceding that the corruption scandals constituted the ‘utmost crisis’ ever faced by the nuclear sector, and vowed to reform South Korea’s corporate culture. Together these controversies engendered a loss of overall public trust in the government’s capacity to regulate nuclear energy production. This outcome was inevitably reinforced by the parallels that citizens drew between the regulatory shortcomings at Fukushima Daiichi and that of their national nuclear power plants. The second formidable challenge to South Korea’s nuclear energy program emerged in the form of a cyber-attack. This occurred in December 2014 when a hacker leaked the partial blueprints and operating manuals for three domestic nuclear reactors, in addition to the personal data on 10,000 KHNP employees (Baylon, Livingstone, and Brunt 2015). The material was first published online via a blog, and then on a Twitter account under the profile ‘president of the anti-nuclear reactor group’. The hacker, whose identity was unknown (the South Korean government suspected Pyongyang), issued a threat to the effect that unless three specific reactor units―Kori-1, Kori-3, and Wolseong-2―were shut down by Christmas, they would systematically be destroyed and further data would be published online. ‘Will you take responsibility when these blueprints, installation diagrams and programs are released to the countries that want them?’ the hacker threatened in Korean. The three nuclear reactors at the centre of the controversy had long been targeted by the anti-nuclear movement, given their close proximity to populous areas. Despite having accessed the reactors’ blueprints and manuals, however, the hacker was unable to obtain critical technical data pertaining to the nuclear facilities; indeed, this information is stored securely within the KHNP’s control monitoring system, which is separate from its internal network. The attacks nevertheless prompted the government to raise its cyber-crisis alert level to ‘attention’―the second on a five-step scale―and to run a series of cyber-warfare drills on its various nuclear power plants. More worrisome for government and nuclear officials was that the cyber-attack and its attendant threats provided further fuel for the anti-nuclear movement and stirred greater social unrest among residents in the Kori and Wolseong plant vicinities. In the eyes of local citizens, the susceptibility of the KHNP’s internal server to cyber-attacks constituted yet another danger associated to nuclear energy production. These apprehensions were buttressed by the hacker’s pronouncement that anyone living in proximity to the plants should vacate their homes immediately (McCurry 2014). What was the combined impact of these challenges on South Korea’s nuclear energy program? In short, the rise in anti-nuclear sentiment in relation to the scandals essentially reined in the government’s nuclear power aspirations. Faced with unprecedented criticism over the safety standards and regulatory practices at domestic nuclear power plants, South Korea’s Ministry of Trade, Industry, and Energy was compelled to drastically lower the national nuclear energy capacity target. Whereas the initial goal was to attain 59 per cent capacity by 2030, in the aftermath of the scandals, this was reduced to a more modest 22‒29 per cent (by 2035) (Ministry of Trade, Industry, and Energy 2014: 40). The justification provided for this revision was the need to avoid ‘excessive expansion’ of nuclear energy, and doubtlessly was premised on the increasing concerns of citizens. As a further ramification, the KHNP agreed to permanently shut down the Kori-1 reactor in June 2017 on the advice of the central government, rendering it the first of South Korea’s nuclear power units to enter the decommissioning phase. The controversies moreover necessarily imposed a significant financial burden on the KHNP: a congressional hearing in October 2013 estimated this cost to be as high as US$2.8 billion (Cho 2013). The overarching effect of the scandals is that South Korea’s nuclear energy industry has been rendered more accountable to the public. This status quo is being reinforced by the recent corruption charges levelled against the Park Geun-hye administration, and the consequent presidential impeachment proceedings. As allegations emerged that President Park―daughter of Park Chung-hee―had colluded with a confidante in the embezzlement of large sums of public funds, over a million South Korean citizens took to the streets in protest. Their refusal to accept their president’s apology and to continue to call for her resignation, is stark evidence of society’s diminished tolerance for government malfeasance. The Fukushima disaster of March 2011 was a vivid reminder for the world that nuclear power plants can cause catastrophic damage. A number of governments accordingly aborted or considerably slowed the pace of their nuclear energy programs, taking heed of rising concerns about the safety of nuclear reactors among their populaces. Yet, as we have seen, South Korea conversely pushed ahead with its ambition to become a foremost nuclear powerhouse after 3/11. This was in spite of the anti-nuclear movement gaining significant traction and mounting a concerted effort to alter policy and practice in the industry. The aim of this chapter has been to explain the limited effect of the movement through an examination of its anti-nuclear campaigns in pre- and post-Fukushima contexts. It found that, owing to the fact that nuclear power became firmly ensconced in Seoul’s energy policy long before the advent of anti-nuclear activism, the movement faced formidable structural obstacles from its incipient stages. This entrenchment of nuclear energy occurred as a consequence of decades-long dictatorial rule, the US‒South Korea alliance, and the export-oriented development model installed by former President Park Chung-hee. Early collaboration among activists on opposing nuclear energy was hampered primarily by two factors: the dictates of authoritarian leadership and the preoccupation of the South Korean citizenry with achieving democratisation. Once the anti-nuclear movement eventually materialised in the late-1980s, it proceeded to challenge various facets of nuclear energy policy with mixed results. In the earlier stages of its campaign, activists attained a degree of success in thwarting the construction of new nuclear power plants and radioactive waste disposals. They largely failed, though, in their post-Fukushima objectives of countering the lifespan extension of reactors due for decommissioning, and overturning county-level agreements (enacted pre-3/11) to host new nuclear power plants. This limited policy change, it was argued, cannot solely be understood in terms of deficiencies within the movement. Rather, a combination of factors have served to constrain the opportunity structure for activists, including the insulated and top-down nature of nuclear energy policymaking in South Korea, and the integrality of nuclear power to the government’s Green Growth Strategy. For its part, the movement has neglected to formulate a viable alternative to nuclear energy, which has long constituted a driving force of economic growth for the nation. While the anti-nuclear movement failed to achieve a phase-out of nuclear power in South Korea, it would be imprecise to conclude that its efforts have been ineffectual. In fact, activists have succeeded in politicising nuclear energy and weakening its public support base. This process was facilitated by the recent revelations of endemic corruption within the industry (and government writ large), as well as the cyber-attacks targeting the more notorious nuclear reactors in the country. The movement capitalised upon these scandals to mobilise further anti-nuclear sentiment, and to fuel public mistrust in the regulation of nuclear energy. As a result, the South Korean government’s policy of expanding nuclear energy is now subject to an increasingly hostile domestic atmosphere, which stands in sharp contrast to the earlier authoritarian era. Furthermore, the movement partially eroded the government’s monopoly over nuclear energy, by compelling the industry to enhance its transparency, improve the safety of existing reactors, and to conform to greater public scrutiny. But perhaps the most significant legacy of the movement thus far, is that it helped to persuade the government to scale back its target for nuclear power generation by as much as 30 per cent. Nevertheless, South Korea remains on track to cement its status as a nuclear power stronghold. In order to change this status quo, the anti-nuclear movement will need to exert constant pressure, citing the lessons of Fukushima, and to formulate a feasible alternative to nuclear energy. This in turn will help the South Korean government to resolve its dilemma of being reliant on nuclear reactors to sustain economic growth and reduce carbon dioxide emissions, on the one hand, and subject to rising anti-nuclear views from its electorate, on the other. Nuclear power plants are directly connected to the lives of the residents, yet the government has ignored citizens’ opinions and insisted on a policy in favour of expanding nuclear power plants. Now that we have confirmed the [anti-nuclear] thoughts of the citizens, we will actively engage in movements to close down old nuclear power plants and to oppose the construction of new nuclear power plants nationwide (Choi 2014). Dr. Lauren Richardson is a Teaching Fellow in Japanese-Korean Relations and Politics at the University of Edinburgh, and incoming Lecturer and Director of Studies in the Asia-Pacific College of Diplomacy at the Australian National University. Mel Gurtov is Professor of Political Science and International Studies emeritus in the Hatfield School of Government, Portland State University, Portland OR 97201 and an Asia-Pacific Journal Contributing editor. His most recent book is coedited with Peter Van Ness, Learning From Fukushima. Nuclear Power in East Asia, Australian National University Press. Baylon, Caroline, David Livingstone, and Roger Brunt, 2015. Cyber security at civil nuclear facilities: Understanding the risks. Chatham House Report. London: Royal Institute of International Affairs. Cho, Mee-young, 2013. Stung by scandal, South Korea weighs up cost of nuclear energy. Reuters, 28 October. Choi, Seung-hyeon, 2014. Referendum on Samcheok nuclear power plant ends in overwhelming opposition, a true victory for citizen autonomy: Expected to accelerate anti-nuclear movements in other regions. Kyunghyang Shinmun, 10 October. Dalton, Toby, and Minkyeong Cha, 2016. South Korea’s nuclear energy future. The Diplomat, 23 February. East Coast Solidarity for Anti-Nuke Group, 2012. Pamphlet. Seoul. Hayes, Peter, and Chung-in Moon, 2011. Park Chung Hee, the CIA, and the bomb. Global Asia 6(3): 46‒58. Hermanns, Heike, 2015. South Korean nuclear energy policies and the public agenda in the 21st century. Asian Politics & Policy 7(2): 265‒82. Hong, G. H., M. A. Hernández-Ceballos, R. L. Lozano, Y. I. Kim, H. M. Lee, S. H. Kim, S.-W. Yeh, J. P. Bolivar, and M. Baskaran, 2012. Radioactive impact in South Korea from the damaged nuclear reactors in Fukushima: Evidence of long and short range transport. Journal of Radiological Protection 32(4): 397‒411. Hwang, Hae Ryong, and Shin Whan Kim, 2013. Korean nuclear power technology. In Asia’s Energy Trends and Developments, vol. 2, edited by Mark Hong and Amy Lugg, 193‒204. Singapore: World Scientific. IAEA (International Atomic Energy Agency), 2012. IAEA completes expert mission to Kori 1 nuclear power plant in Republic of Korea. Press release, 11 June. IAEA (International Atomic Energy Agency)‒NSNI (Division of Nuclear Installation Safety), 2012. Report of the expert mission to review the station blackout event that happened at Kori 1 NPP on 9 February 2012, Republic of Korea. 4‒11 June. http://kfem.or.kr/wp-content/uploads/2012/07/1419321177_zkGfGz.pdf (accessed 6 February 2017). KHNP (Korea Hydro & Nuclear Power), 2012. IAEA completes expert mission to Kori 1 nuclear power plant in Republic of Korea. Press release, 13 June. (accessed 6 February 2017). Kim, Se-jeong, 2015. Referendum on nuke plant turns invalid. Korea Times, 13 November. Korean Government, 2011. Policy Issue 0: Report of the Korean government response to the Fukushima Daiichi nuclear accident. https://www.oecd-nea.org/nsd/fukushima/documents/Korea_2011_08Policy00GovernmentResponsetoFukushimaAccident.pdf (accessed 25 January 2017). LaForge, John, 2013‒14. Defective reactor parts scandal in South Korea sees 100 indicted. Nukewatch Quarterly Winter: 7. Lee, Myung-bak, 2010. Shifting paradigms: The road to global green growth. Global Asia 4(4): 8‒12. Leem, Sung-Jin, 2006. Unchanging vision of nuclear energy: Nuclear power policy of the South Korean government and citizens’ challenge. Energy & Environment 17(3): 439‒56. McCurry, Justin, 2014. South Korean nuclear operator hacked amid cyber-attack fears. The Guardian, 23 December. Ministry of Science and Technology, 2006. Je 3-cha wonjaryeok jinheung jonghap gyehoek [Third comprehensive plan for nuclear energy development]. Seoul: Ministry of Science and Technology. Ministry of Trade, Industry, and Energy, 2014. Je 2-cha eneoji gibbon gyehoek [The second national energy plan]. Seoul: Ministry of Trade, Industry, and Energy. Nagata, Kazuaki, 2012. Fukushima puts East Asia nuclear policies on notice. Japan Times, 1 February. Norman, Andrew, and Gerry Nagtzaam, 2016. Decision-Making and Radioactive Waste Disposal. Abingdon: Routledge. Sayvetz, Leah Grady, 2012. South Koreans stop plan for nuclear waste dump on Gulup Island, 1994–95. Global Nonviolent Action Database. (accessed 25 January 2017). Von Hippel, David, Sun-Jin Yun, and Myung-Rae Cho, 2011. The current status of green growth in Korea: Energy and urban security. Asia-Pacific Journal 9(44)4: 1‒15. Yi, Whan-woo, 2012. Potential nuclear risk. Korea Times, 21 May. Today, on her program, The Current, Anna Maria Tremonti introduced the broadcast of a 23-minute documentary record of the voices of 8-year-old Bana Alabed and her mother, Fatima, produced at the studios of the Canadian Broadcasting Corporation (CBC) in New York City. Bana Alabed has been exposed recently, in several forums, as a spectacular example of the media exploitation of children for the purpose of promoting war and conquest. (1) Bana was the poster child of the “Stand With Aleppo” campaign one year ago which falsely alleged that the Syrian Arab Army was committing horrible atrocities against civilians while it liberated eastern Aleppo from the control of terrorist mercenaries. In fact, the Syrian forces were extremely professional and humane during that military operation. They opened corridors regularly for citizens to escape from the control of the terrorists in eastern Aleppo, and tens of thousands of Aleppans took advantage of these escape routes to flee to government-controlled western Aleppo. Russian military forces daily delivered tractor-trailer loads of humanitarian aid to the fleeing civilians. Rather than carpet-bomb eastern Aleppo, the Syrian armed forces liberated the city house by house and street by street. In the end, the Syrian government allowed nearly ten thousand terrorists from all sorts of groups ranging from Al Qaeda to ISIS to the Muslim Brotherhood to leave Aleppo with their families and their small arms in buses it provided en route to neighbouring Idlib Province. According to Bana’s own story today on CBC’s The Current, she and her family left on these Syrian government buses. The terrorists, among whom the Alabed family departed from Aleppo, are part of proxy armies of mercenaries recruited and paid by Arab monarchs to be the footsoldiers of the USA and its NATO allies in a failed regime change operation in Syria, that started in March 2011 and which has left half a million dead and created twelve million refugees and displaced persons. One should compare the Syrian liberation of Aleppo (to which 600,000 Syrians have returned in 2017) with the US Coalition’s destruction of Raqqa, Syria, (the former capital of ISIS) where 80% of the bombed buildings are no longer habitable and there were massive civilian casualties and dislocation. Few civilians have been able to return to Raqqah. However, the CBC has neglected to report on these facts. During the liberation of Aleppo, Bana posted regularly on Twitter that she wanted peace and an end to the war. She complained bitterly that the government was killing her friends and demanded an end to bombing of her neighbourhood. As it turns out, her story was a fabrication. Bana’s father was a trusted Sharia Court judge of Al Qaeda in Aleppo. That meant he got to decide who lived, who was jailed and tortured in the basement of the complex in which Bana lived, and who died. Bana’s uncles ran a weapons repair facility for Al Qaeda out of a shop downstairs from where Bana lived, which happened also to house the headquarters of Al Qaeda in that district. No wonder Bana complained that the Syrian government was bombing the area! After Aleppo was liberated, the Alabed family travelled to Turkey where her family was photographed with President Erdogan, one of the prime instigators and profiteers of the war on Syria. In fact, Bana wound up posing for photo opportunities on Erdogan’s lap. In actual fact, the war in Syria was not a civil war but a western military aggression against a sovereign state. And Bana was simply a mouthpiece for the side that started that war and still has not given up promoting its false narrative. It is shameful of Anna Maria Tremonti, The Current, and the CBC continue to abuse an 8-year-old child in an attempt to keep alive the false narrative that the western war on Syria, in which successive governments of Canada played a significant role, was justified. Bana has been made to live a lie for at least two years now. 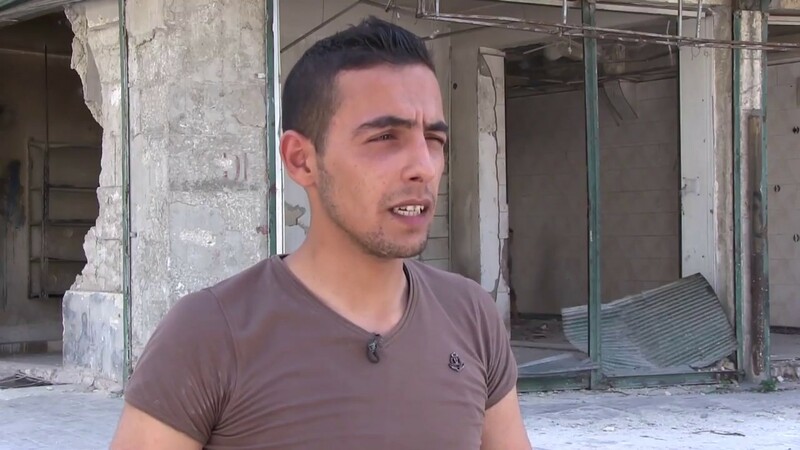 Tremonti and the CBC should stop abusing that child and own up to the fact that they, like Bana, have been helping to promote lies about Syria for the past six and half years, lies that have resulted in Syria being drenched in blood. (1) Vanessa Beeley, Media on Trial Conference, London, UK, October 2017. Saudi activists have revealed that the security services in their country have deleted thousands of tweets from the account of detained scholar Mohamed Al-Hadeef, thenewkhalij.news reported on Friday. “The Saudi security deletes tweets of Dr Mohamed Al-Hadeef and keeps only 1,583 out of thousands of tweets,” claimed a Twitter user known as “keymiftah79”. Even while he is detained, the activist pointed out, the Saudi authorities are afraid of his tweets. The New Khaleej website said that it had fact-checked the information about the deletion and confirmed that only 1,582 tweets were kept on Al-Hadeef’s account. The government in Saudi Zio-Wahhabi regime launched a campaign against independently-minded Muslim scholars in the country days after the visit of US President Donald Trump earlier this year. According to human rights groups, hundreds of scholars and opposition figures have been detained. The Israeli military has threatened to launch an incursion into Syria “to protect” the people of a village populated by the Arab country’s Druze minority, who are themselves supportive of the Syrian government. “In recent hours, we witness the intensifying of the fighting at the area of the Druze village of Hader in the Syrian part of the Golan Heights,” Ronen Manelis, an Israeli military spokesperson, said in a statement on Friday, which was carried by The Jerusalem Post. The military “is prepared and ready to assist the residents of the village and prevent damage to or the capture of the village Hader out of commitment to the Druze population,” he further claimed. Since a war in 1967, Israel has occupied two-thirds of Syria’s Golan Heights. The Hader Village, however, is situated in the part of the territory that is under Damascus’ control, and its population is aligned with the Syrian government, casting doubts about Israel’s real motives in possibly launching an incursion into Syrian territory. The official Syrian Arab News Agency earlier reported that at least six people had been killed and 21 others wounded in a car bomb attack targeting the village by the Jabhat Fateh al-Sham Takfiri terrorist group, which was formerly known as al-Nusra Front. Israel has been widely reported to be providing medical treatment to al-Nusra in Golan. Tel Aviv has also several times targeted territory inside Syria, often claiming that it strikes convoys heading for the fighters of the Lebanese resistance movement of Hezbollah. The Hezbollah fighters have been helping the Syrian military fight Fateh al-Sham and Daesh. Takfiri groups such as Daesh and al-Nusra have never attacked Israel despite operating close to Syria’s borders with Israel over the past three years. 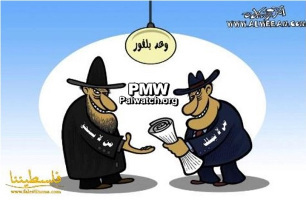 In April, Israel’s former minister of military affairs, Moshe Ya’alon, admitted to a tacit alliance with Daesh, saying the Takfiri group had “immediately apologized” to Tel Aviv after firing “once” into Israel. The explosive revelation by the former minister of military affairs came during an interview reported Saturday on Israeli Channel 10’s website. In September 2016, Israeli lawmaker Akram Hasson criticized Israel for supporting Takfiri terrorists in Syria, saying that the Fateh al-Sham terrorist group was operating in Syria with “unprecedented logistical and medical” support from Tel Aviv. 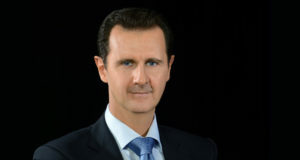 He said Israel’s escalation of attacks on the Syrian army positions in the Golan Heights had been aimed at paving the way for the terrorist group to gain more ground. 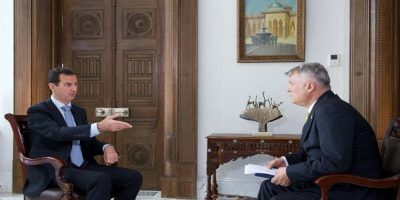 He said that Fateh al-Sham was bombing the Syrian Druze village of Khadr, with the support of the Israeli minister of military affairs, Avigdor Lieberman. Citing eyewitnesses, Hasson said the Takfiris were using advanced technological equipment, adding that Israel’s strategic support had been broadened over the past few months. This initiative has plenty of push behind it, including President Putin’s personal endorsement, but no guarantee of success. Both Iran and Turkey (the co-guarantors of Astana) privately may have reservations, not knowing precisely what Moscow might unveil. Iran is insistent on Syria retaining a strong centralized government, and Turkey is likely to worry about whether the Kurds might receive too much from Moscow; it will also have reservations about sitting down with the YPD (Syrian Kurds), which it views to be little more than a re-branded PKK, which Turkey regards as a terrorist organization. If Turkey does pull out, it will take an important slice of the opposition with it. 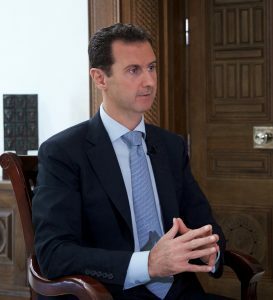 Critical moments in history, however, do have a habit of proving to be less critical than first imagined, but this one effectively marks the beginning of the winding up process of the Syrian war and of the 20-year “New Middle East” project (as devised by the U.S. and Israeli governments). How each state responds, will determine the Middle East landscape for the next years. Late last week, the Syrian army took the rest of Deir Ezzor city, and with its rear now secure, the Syrian army is free to continue the 30 or so kilometers to reach Abu Kamal (al-Bukumal) – the last ISIS urban outpost – and the vital border crossing on the Euphrates with Iraq. It is estimated that there may be 3,500 Da’esh (another name for the Islamic State or ISIS) in Abu Kamal. But Abu Kamal’s “twin” (on the Iraqi side of the border), al-Qaim, was taken by the Iraqi government’s PMU militia forces on Friday. The Iraqi forces are now clearing the city of its estimated 1,500 Da’esh fighters. The Syrian army, backed up by several thousand recently injected Hezbollah forces, is poised to enter Abu Kamal in the coming days from two directions – and from the south, a co-ordinated thrust north up and into Abu Kamal by the Iraqi Hash’d a- Sha’abi (PMU) militia, will form a pincer. American-supported SDF (Syrian Democratic Forces), however, are also trying to reach Abu Kamal from the east (the U.S., pressured by Israel, would like to seal and close the border crossing). U.S. allied forces can move more quickly, as U.S. officers are seeking to bribe local tribal leaders who formerly had sworn allegiance to ISIS (with Saudi money), to switch sides, or at least to allow the SDF forces to advance unhindered by ISIS (as happened in the environs of Deir Ezzor). In short, the military outcome in Syria is done (after six years of war), and now comes the political bargaining. How this plays out will determine the relative strengths of the forces that will shape the Middle East in the coming years. The outcome will likely see whether Turkey can be bullied back towards NATO (by threats such as that by General Petr Pavel, head of NATO’s military committee, warning of “consequences” for Turkey’s attempts to buy Russian air defenses), or whether Turkey’s determination to limit Kurdish aspirations will see Turkey position itself alongside Iran and Iraq (who share a common interest). Turkey’s role in Idlib, in overseeing the de-escalation zone there, remains opaque. Effectively, its forces are positioned more to control the Afrin Kurdish “canton” (rather than monitor the Idlib de-escalation zone). It is possible that President Recep Tayyip Erdogan is hoping to use Turkish troops to carve out a buffer zone along the Turkish-Syrian border – in contravention to the Astana understandings. If so, this will place him at odds with both Moscow and Damascus (but will not necessarily imply a return to the NATO camp, either). The bargaining at Sochi will also make clearer whether Syria will be a strong centralized state (as Iran prefers), or a looser federal state as America (and perhaps Russia) would prefer. Sochi will be something of a litmus for the extent to which American influence can shape outcomes in today’s Middle East. At present, it looks as if there is co-ordination between Moscow and Washington for a speedy political settlement in Syria, a U.S. declaration of victory over ISIS, Syrian elections, and an American exit from the Syrian theatre. The outcome of the conference will also perhaps clarify whether the Syrian Kurds finally will remain with the U.S. CentCom projectfor retaining a permanent U.S. presence in northeast Syria (as Israel wants), or whether the Syrian Kurds will cut a deal with Damascus (after witnessing the crushing of the Barzani Kurdish independence project by neighboring powers). If the latter occurs, the argument for retaining a longer-term U.S. presence in northeast Syria would lose force. The Saudis will have either to accept defeat in Syria, or act the party-pooper (by trying to re-ignite the remaining proxy forces in Idlib) – but, for that, the kingdom would need Turkey’s compliance, and that may not be forthcoming. Iraq too, irked by U.S. Secretary of State Rex Tillerson’s comments suggesting that the PMU are Iranian – and must “go home” – has already shown signs of re-orientating towards Russia. (It has recently signed an expansive energy and economic protocol with Russia – after having reclaimed control of its borders and of Iraq’s energy resources – and is procuring Russian arms). Evidence of Iraq’s close connections with Syria, Turkey and Iran was very manifest in the quick execution of the put-down to the Kurdish independence gambit. “The Syrians fire rockets at open areas: Israel destroys Syrian cannons in response; the Iranians threaten to deploy Shiite forces in Syria: Israel announces ‘red lines’ and threatens a military conflict; Fatah and Hamas hold futile talks on a unity government: the prime minister declares Israel is suspending talks with the Palestinans – and everyone here applauds the security and political echelons: – ‘there, we showed them the meaning of deterrence’, [the Israeli leadership repeats]. “But what we are seeing here is a provincial defense policy, a false representation of a leadership that barely sees beyond the tip of its nose, and is busy putting out fires day and night. What Fishman is pointing to is profound: Israel has gained some tactical victories in the neighborhood (i.e. over the Palestinians generally, and in weakening Hamas), but it has lost sight of the wider strategic picture. In effect, Israel has lost its ability to dominate the region. It had wanted a weakened and fragmented Syria; it had wanted a Hezbollah mired in the Syrian mud, and an Iran circumscribed by Sunni sectarian antipathy towards the Shi’a generally. It is unlikely to get any of these. Rather, Israel finds itself being deterred (rather than doing the deterring) by the knowledge that it cannot now overturn its strategic weakness (i.e. risk a three-front war) – unless, and only if, America will fully enter into any conflict, in support of Israel. And this is what worries the security and intelligence echelon: Would America now contemplate a decisive intervention on behalf of Israel – unless the latter’s very survival was at risk? In 2006, Israeli officials recall, the U.S. did not enter Israel’s war against Hizbullah in Lebanon, and after 33 days, it was Israel that sought a ceasefire. Fishman is right too that attacking Syrian factories and radar positions “out of old habit” solves nothing. It may be sold to the Israeli public as “deterrence,” but rather it is playing with fire. Syria has started to fire back with aged surface-to-air missiles (S200s) at Israeli aircraft. These missiles may not have hit an Israeli jet yet, and maybe were not even intended so to do. The Syrian message however, is clear: these missiles may be old, but they have a longer range than the newer S300: Potentially, their range is sufficient to reach Ben Gurion Airport outside Tel Aviv. Are the Israelis sure that Syria and Hezbollah don’t have more modern missiles? Are they certain that Iran or Russia will not provide them such? The Russian defense minister was very angry on his visit to Tel Aviv to have been faced with an Israeli retaliatory air attack on a Syrian radar and missile position – as a welcome gift on landing in Israel. To his protests, his Israeli counterpart, Defense Minister Lieberman condescendingly said that Israel needed nobody’s advice in respect to Israel’s security. General Sergey Shoygu reportedly was not amused. “We have been watching the strange developments in Saudi Arabia, the United Arab Emirates (UAE), Egypt, Israel and the U.S. for some time now. There is a new situation in the region, which we know is [principally aimed] against Iran; but has recently taken an open anti-Turkey state, aimed at limiting Turkey’s influence in the region … You will see, the ‘moderate Islam’ announcement will be immediately followed by a sudden and unexpected strengthening of Arab nationalism. This wave will not differentiate between Shiite or Sunni Arabs, but it will isolate the Muslim Arab world from the entire Muslim world. Al-Sabhan added that the kingdom’s escalation against Hezbollah could take several forms that would “definitely affect Lebanon. Politically, it might target the government’s relations with the world. At the economic and financial levels, it could target commercial exchange and funds, and militarily it might involve the possibility of a strike on Hizbullah by the U.S.-led coalition, which labels Hizbullah a terrorist organization.” (Comment: this latter point probably was made more in hope, than in expectation. Europe and the U.S. set considerable store on maintaining Lebanon as stable). “The moderate Islam project was tried the most in Turkey. We always said this is ‘American Islam’ and opposed it. The February 28 military intervention is the product of such a project. It was implemented by the U.S./Israel extreme right-wing and their partners on the inside. The Fetullah Terrorist Organization (FETO) is the product of such a project, and the Dec. 17/25 and July 15 attacks were made for this very reason. They were all aimed at trapping Turkey within the U.S./Israel axis. “But Turkey’s local and national resistance has overcome them all. Now they are burdening Saudi Arabia with the same mission. That is how they are making it appear. I do not think that it is possible for Saudi Arabia to undertake such a mission. This is impossible both in terms of the regime’s character and its social structure. This is impossible because of the ‘Israel/U.S. sauce’. “The discourse of making the switch to moderate Islam will cause serious confusion in the Saudi administration and grave social reactions. The actual conflict is going to take place within Saudi Arabia. Also, the Riyadh administration has no chance of exporting something to the region or setting an example. Karagul makes the point well: the attempt to make Islam in the Christian “Westphalian” image has a disastrous history. The metaphysics of Islam are not those of Christianity. And Saudi Arabia cannot be made “moderate” by Mohammad bin Salman just ordering it. It would entail a veritable cultural revolution to shift the basis of the kingdom, away from the rigors of Wahhabism to some secularized Islam. Where is this taking the Middle East: to conflict? Maybe. But Israeli Prime Minister Benjamin Netanyahu is not noted for his audacity: he his noted more for rhetoric which often has proved empty; and Israeli security officials are being cautious, but both sides arepreparing against the possibility of what Karagul calls a “great power showdown.” It looks, though – from this and other Turkish statements – as if Turkey will be with Iran and Iraq, and standing against America and Saudi Arabia. And President Trump? He is wholly (and understandably) preoccupied with the low-intensity war being waged against him at home. He probably tells Netanyahu whatever it is that might advance his domestic battles (in Congress, where Netanyahu has influence). If Bibi wants a fiery speech at the U.N. berating Iran, then, why not? Trump can then call on the trifecta of White House generals to “fix it” (just as he did with JCPOA, passing it to Congress “to fix”), knowing that the generals do not want a war with Iran. The danger is a “black swan.” What happens if Israel goes on attacking the Syrian army and industrial premises in Syria (which is happening almost daily) – and Syria does shoot down an Israeli jet? The Syrian Democratic Forces (SDF) welcome the US’s ever-increasing presence in Syria, although all this technically constitutes an invasion and has never been condoned by the country’s government in Damascus. Speaking on condition of anonymity, the SDF’s senior official said that the US had created a military base in the Syrian city of Raqqa, which was recently liberated from Daesh terrorists. 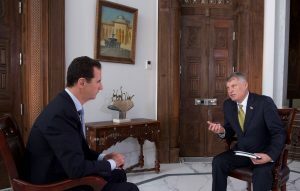 “The United States is building military bases in the areas freed by our forces from terrorists. We consider it to be the right strategy. Recently, America created a military base at the entrance to the territory of Raqqa, in the Jezra neighborhood,” the official said. He explained that the neighborhood was chosen by the Americans because it was slightly damaged during a military operation in Raqqa and can now be seen as the city’s safest area. In addition, there are no mine traps or explosives in Jezra, according to him. “The base and the adjacent territory are reliably protected by American soldiers. No one, except these soldiers and SDF fighters, has access to the base,” the official concluded. In an interview with Sputnik on Friday, Muhammed Kheir al-Akkam, professor of international relations at the University of Damascus, specifically pointed to the US’s “fully coordinated move to replace Daesh with the SDF” in Syria. In another development on Friday, the Russian Reconciliation Center for Syria said that the US had established a military base near the town of At Tanf on the Syria-Iraq border without the Syrian government’s permission and banned anyone from coming within 55 kilometers. According to the Center, the base’s proximity to the Rukban refugee camp precludes humanitarian access and may be considered a war crime. On October 20, Washington declared the liberation of Raqqa, Daesh’s self-proclaimed capital, from terrorists. US President Donald Trump called the operation to free the city a “critical breakthrough”, claiming that a “transition into a new phase” would follow it.